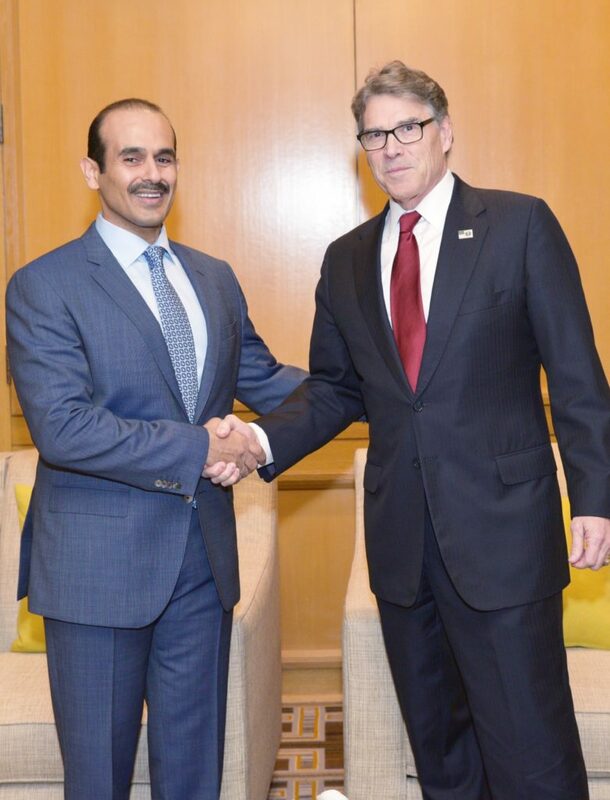 Saad Sherida Al-Kaabi, Minister of State for Energy Affairs, President and CEO of Qatar Petroleum held talks in Washington D.C. with Rick Perry, U.S. Secretary of Energy. The talks centered on cooperation between the State of Qatar and the United States in the field of energy and particularly in the LNG industry. Al-Kaabi and Secretary Perry also discussed Qatar Petroleum’s final investment decision for developing the Golden Pass LNG Export project in Sabine Pass, Texas. The meeting came as Qatar Petroleum and ExxonMobil signed the investment agreement, paving the way for the construction of the Golden Pass LNG export facility, which will have a production capacity of about 16 million tons of LNG per year. Al-Kaabi held similar talks with Frank Fannon, the US Assistant Secretary of State for Energy Affairs, on various aspects of energy cooperation.